David Park lived most of his life in San Francisco, becoming a leading figure in the development of modern art on the West Coast. 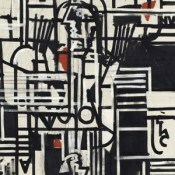 His paintings diverged from the abstract tendencies that predominated in New York during the postwar years. 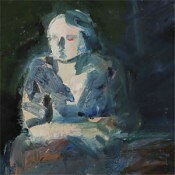 Combining expressive brushwork derived from Abstract Expressionist painting with direct observation of the real world, Park and his California colleagues formed their own style now often referred to as Bay Area Figuration. Painted a year prior to his death, Three Bathers is exemplary of Park’s mature work. The image of boys toweling off after a swim is characteristic of his emphasis on everyday subject matter. Yet these casually posed figures take on a heroic quality through Park’s passionate application of broad strokes of vibrant pigment. 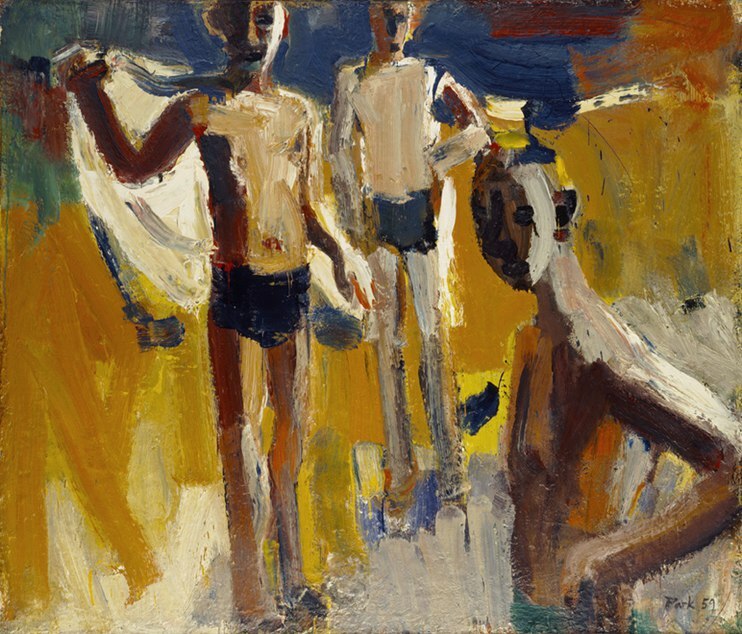 Three Bathers was featured in the traveling exhibition of the Fifth International Hallmark Art Award in 1960, the last in a series of competitions initiated by the company’s founder J.C. Hall in 1949. 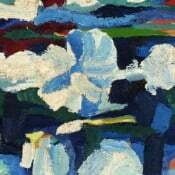 It has helped me in painting to be extravagant with paint. 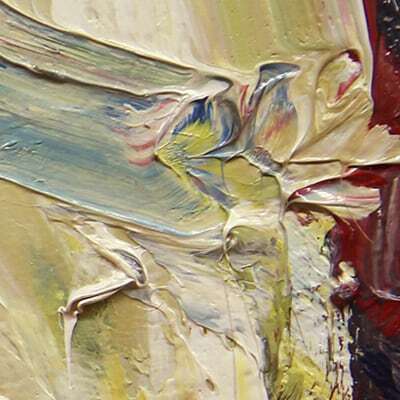 I don’t especially like the look of heavy paint but it gives me a better sense of freedom. My studio is apt to be filthy with scraped paint but I am meticulous about cleaning my pallette-table and my brushes. I claim I spend more time at the studio sink washing dozens of brushes than my wife spends at the kitchen sink washing dishes. She might not agree. From statement by the artist in David Park: Recent Paintings, New York, published by Staempfli Gallery, 1959.